November 30, 2017 – Lockheed Martin has completed the major assembly of Hellas-Sat-4/SaudiGeoSat-1 and has shipped the communications satellite to its Sunnyvale, California facility to undergo critical environmental testing. The first of the modernized LM 2100 satellites, Hellas-Sat-4/SaudiGeoSat-1 is being built for Arabsat/Hellas Sat and King Abdulaziz City for Science and Technology. It will provide advanced telecommunications capabilities, including television, internet, telephone and secure military communications to customers in the Middle East, Africa and Europe. Hellas-Sat4/SaudiGeoSat-1 is the first of two LM 2100 satellites in the Arabsat-6G program. The second is Arabsat-6A. During environmental testing, the satellite will undergo a series of tests to simulate the launch and space conditions to ensure a successful mission. This testing includes simulating the launch environments with acoustic and vibration testing, simulating the harsh space environment with vacuum and extreme temperature testing, and radio frequency compatibility and performance testing to validate the payload meets critical performance expectations. 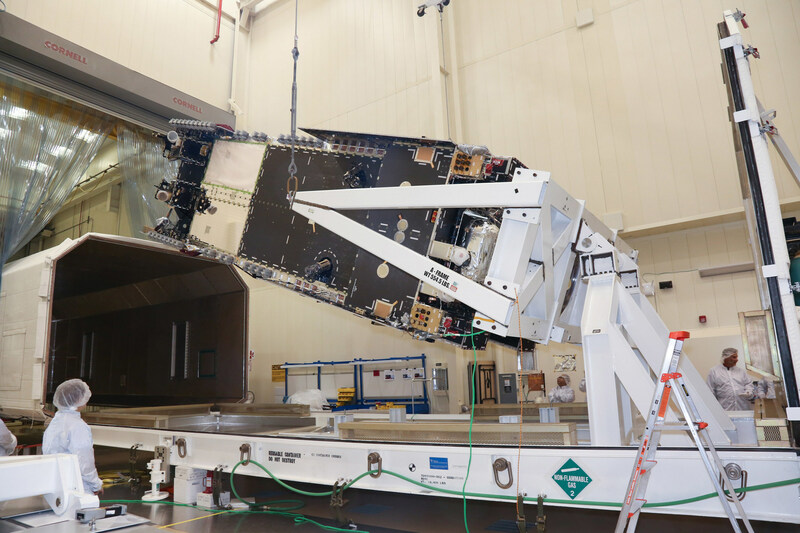 The satellite recently went through comprehensive testing as a part of a baseline integrated systems test at the company’s Littleton, Colorado facility where the satellite was designed, assembled and integrated with its payload. Remaining baseline testing will be completed before environmental testing. The rigorous baseline test ensures the fully integrated satellite is working properly before moving on to environmental testing. While in California, but prior to the environmental tests, the satellite’s large communications antennae and large flexible solar arrays will be installed. The four deployable antennas use a new design that allows them to be tuned with higher accuracy and efficiency. The multi-mission modular solar arrays incorporate three key features: higher power, less mass and compact stowage. This compact flexible array design delivers 50 percent more power than previous rigid array designs at 30 percent less mass. The satellite is scheduled for delivery to the launch site in third quarter 2018.